A quick view of the most influential metrics in Coupland. Coupland is a city in southeastern Williamson County, Texas, United States. According to the 2014 Population Estimate of the United States Census, the population was 298. 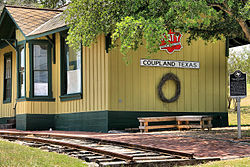 Coupland is home to the Coupland Inn and Dancehall, an eatery, bed and breakfast, and dance hall which has been in the community for nearly 100 years. Coupland's athletic teams are the "Cowboys." The Coupland Independent School District serves area students. Coupland ISD serves grades K-8. Upon graduation, the students either go to Elgin, Texas, Pflugerville, Texas or Taylor, Texas for high school courses. 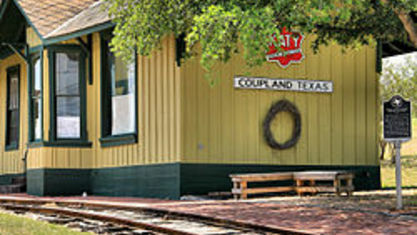 View our selection of available properties in the Coupland area. Check out the latest demographic information available for Coupland. Get to know Coupland better with our featured images and videos. Learn more about schools near Coupland complete with ratings and contact information. Browse through the top rated businesses in the most popular categories Coupland has to offer.